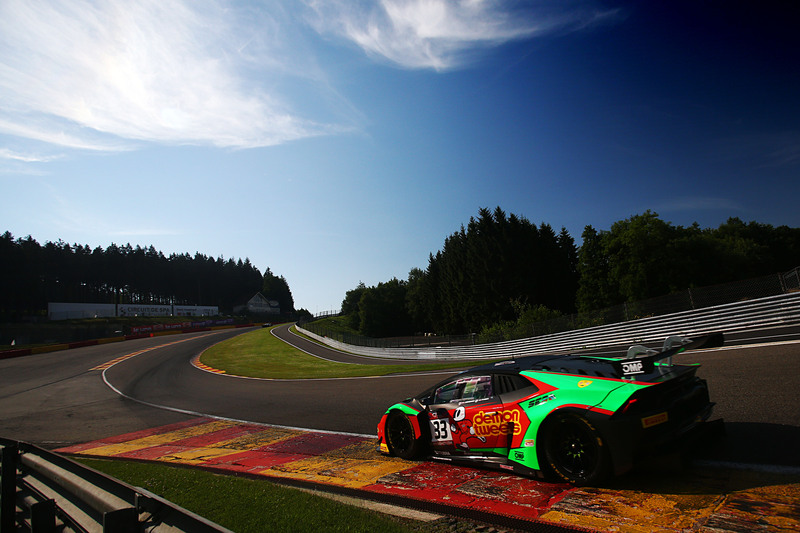 Jon Minshaw and Phil Keen, driving the #33 Barwell Motorsport Lamborghini Huracán, took the GT3 victory in Race One of the weekend’s double-header at Circuit de Spa-Francorchamps. Second across the line at the chequered flag was the TEAM WRT Audi R8 LMS GT3 driven by Alain Ferte and Stuart Leonard. Taking the final podium position was the #39 Kessel Racing Ferrari F488 GT3 piloted by Piti Bhirombhakdi and Carlo van Dam. 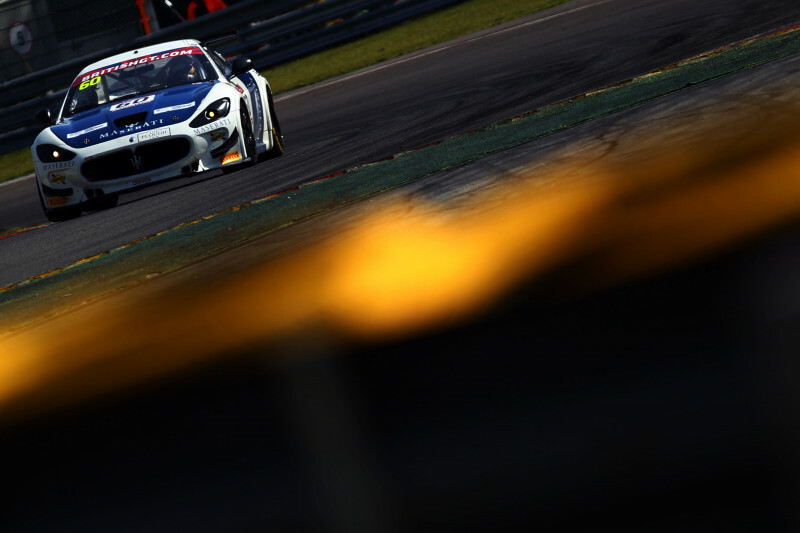 The GT4 class saw a remarkable win for the #14 Ebor GT Maserati GT MC GT4 driven by Matthew Graham, on his first competitive drive for the York-based team and Charlie Fagg, making his debut in the British GT Championship. Second in the GT4 class was the #51 Lanan Racing Ginetta G55 GT4 driven by David Pittard and Alex Reed. Taking the final podium position was the #55 HHC Motorsport Ginetta G55 GT4 driven by William Tregurtha and Stuart Middleton. 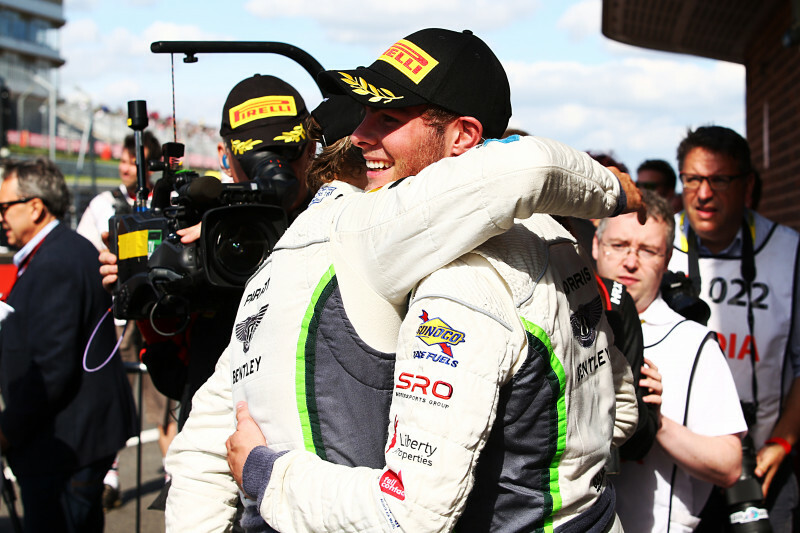 The #31 Team Parker Racing Bentley Continental GT3 with Rick Parfitt at the wheel led from pole at the start but the flow of the race in the first 30 minutes was disrupted by two safety car periods. The first occurred when the #43 Century Motorsport Ginetta G55 GT4 with Steve Fresle at the wheel had an off at Raidillon. The second occurred shortly after when there was a coming-together of the #111 Century Motorsport Ginetta G55 GT4 piloted by Anna Walewska and the #66 Team Parker Racing Porsche Cayman GT4 Clubsport MR with Nick Jones driving at La Source. By the time the safety car periods had ended, the race was entering the pit-stop window. 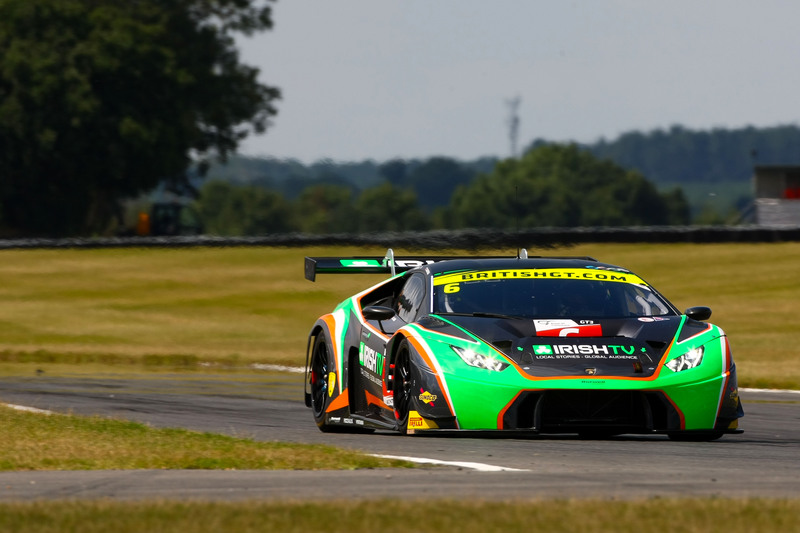 As the pit-stops and driver changes cycled through, it was the #33 Barwell Motorsport Lamborghini Huracán GT3 with Phil Keen at the wheel who led the field, a position he hald to the chequered flag. In GT4 an almost certain victory for the #56 Tolman Motorsport Ltd McLaren 570S GT4 driven by David Pattison and Joe Osbourne was snatched away on the penultimate lap by a puncture. The #60 Ebor GT Maserati, meanwhile, had been moving up the field, having started from last due to a problem which meant the car could not be qualified. 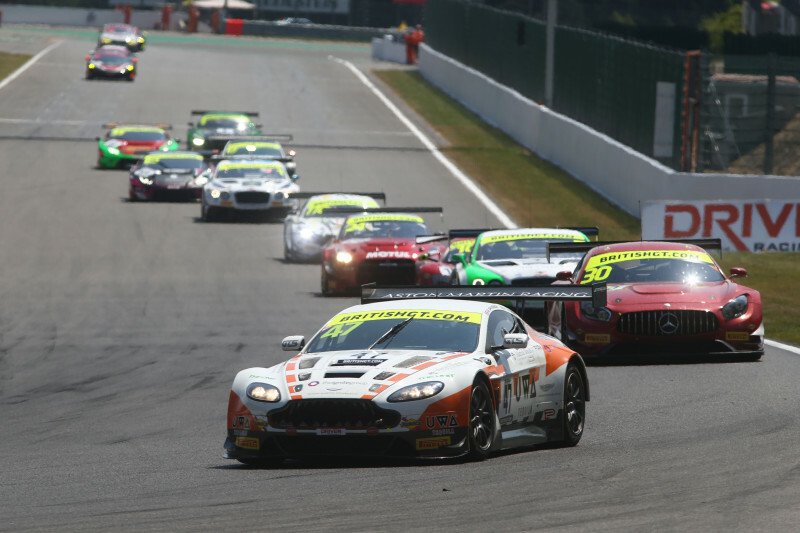 Race Two of the British GT double-header weekend at Spa-Francorchamps will start at 13:00 local time (12:00 BST) on Saturday July 8.